This two-day course provides participants with an understanding of the Basic Aviation Risk Standard (BARS) and how it can be used by resources sector personnel to help identify potential aviation safety risks. Participants will be able to use knowledge gained on the course to review their companies’ aviation management policies and procedures and formulate appropriate risk management strategies to manage identified day-to-day risks. 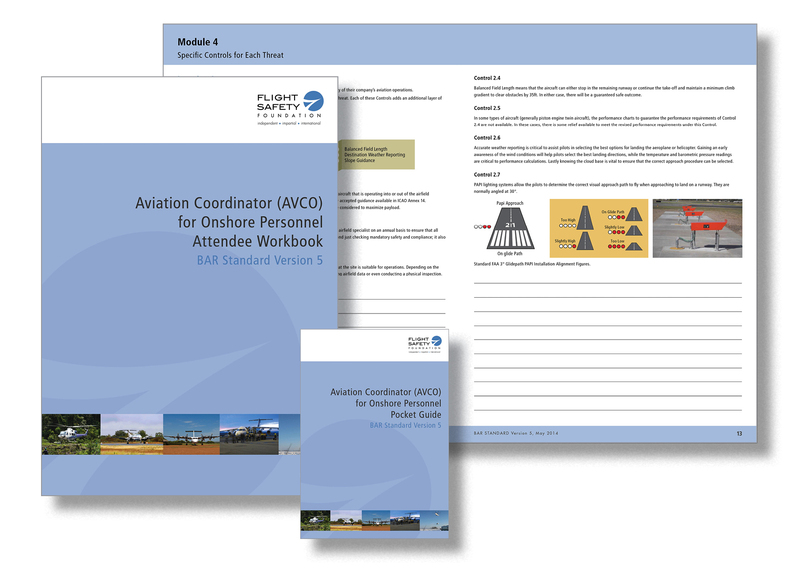 Provide a range of tools that assist resources sector personnel identify hazards specific to the aviation industry. To express your interest in any of our courses, please forward your details to bars@flightsafety.org, stating which location(s) are of interest to you. Check this page regularly for updates and registration forms.